Well hello! 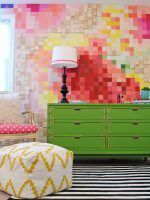 So, we about died when Brooke asked us to guest post on All Things Thrifty! Holy.friggin.cow!!! Her blog is only the reason we started blogging 3 years ago! (Insert shocked/excited/ecstatic face here) 😉 We wanted to share the post we did for All Things Thrifty for you guys in case you missed it! 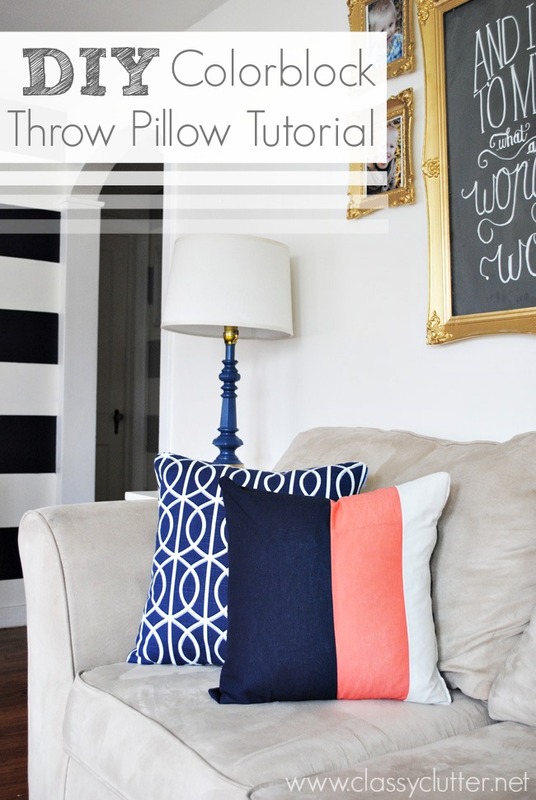 It is DIY Colorblock Throw Pillow Tutorial. Let me preface this tutorial with a disclaimer. 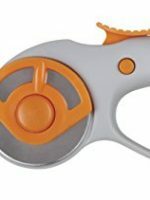 ANYone can sew this! This is an absolute first timer, beginner sewing tutorial. 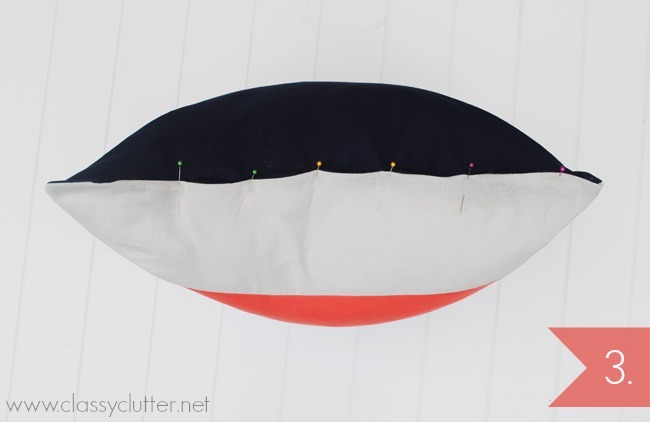 If you have a sewing machine, you can do this; whether you’ve used it before or not! So so easy! Let’s get started, shall we? 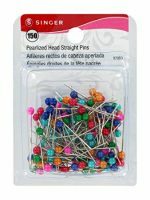 First, gather your fabric and some basic sewing materials. 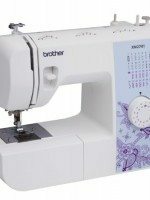 You will also need a sewing machine, obviously! 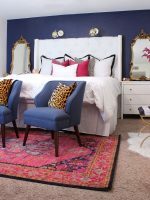 Choose 3 solid colored fabrics and you only need like a quarter yard of each accent color and 1/2 a yard of your main color. 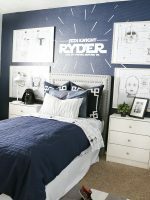 We used 1/4 yard of light grey and color and 1/2 a yard of navy. This is really inexpensive fabric from Joann’s. It’s just plain cotton. Next, cut your color block pieces. This tutorial is for an 18″ square pillow so you may need to adjust your measurements if you’re doing a smaller or larger pillow. I’ve found 18×18″ to be somewhat standard. 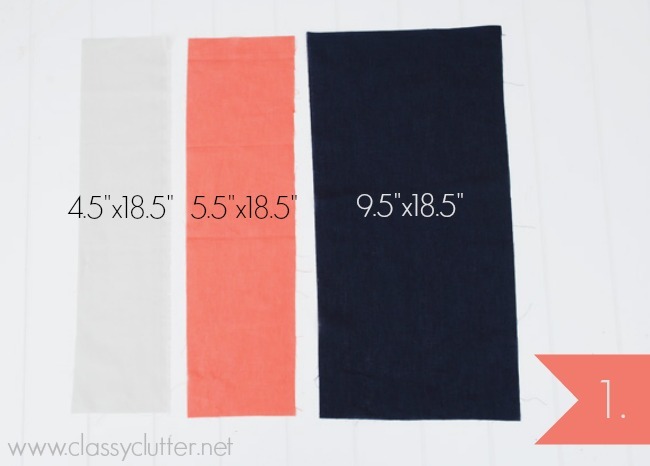 You will need to cut 3 rectangles (pictured above) and 18.5″x18.5″ square in your main color for the back. The back of this pillow is in the navy blue. 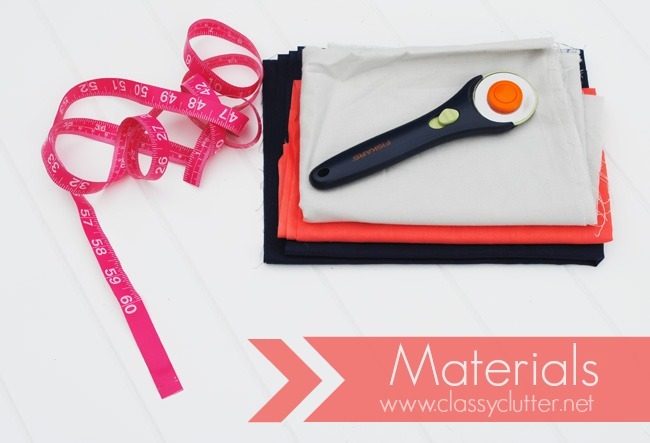 Next, using a 1/4 seam allowance, sew your rectangles together to create the color block look. Then, place the right sides together of your 18.5″ squares and sew along 3 sides. 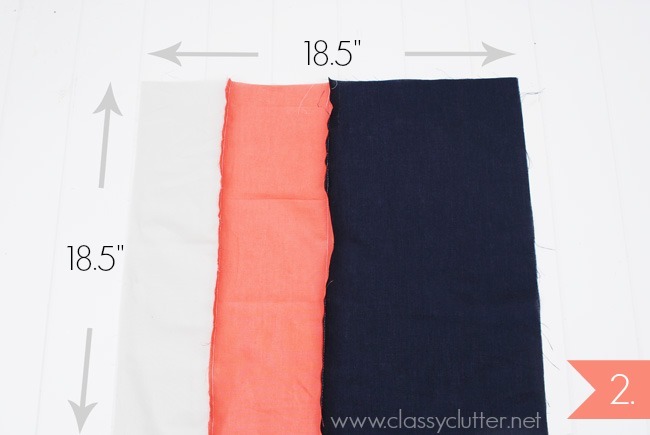 Your pillow cover will be 18″x18″ square. 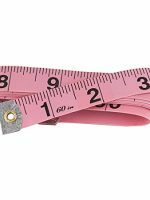 There is 1/2″ extra for 1/4″ seam allowances on each side. Does that make sense? Turn your sewn pillow cover right side out and insert a pillow form. After you have your pillow cover stuffed with a pillow form, pin the final side folding in the raw edges. Then, sew along the side you pinned and voila! DONE! This is another pillow I did with Coral as the main color. I love it both ways. Hope you like it! 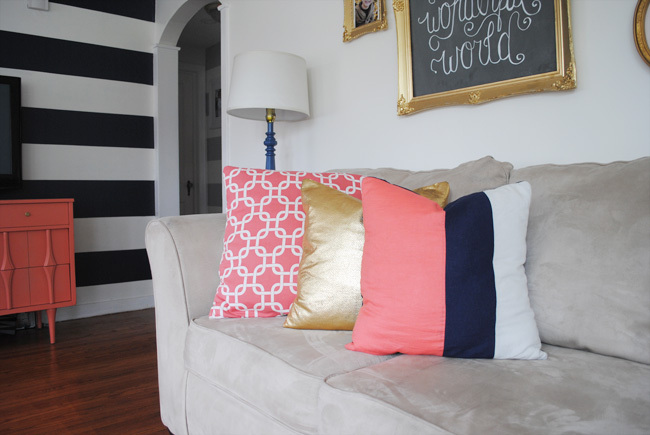 I’m well on my way to a new living room design and I can’t wait to show you! I can’t sew so I won’t attempt this project but I must say these pillows are gorgeous and this is my favorite current color scheme. So in love with this! Why didn’t I think of it? Thanks for the inspiration. Hi, I just found your blog and love it! I was reading the color block pillow tutorial which seems very easy and I can’t wait to try it. My question is could you tell me who makes the blue and white, and coral and white geometric fabric you used on the other pillows and where you found it. I love those prints so much. I’ll be following your blog regularly now….love it. 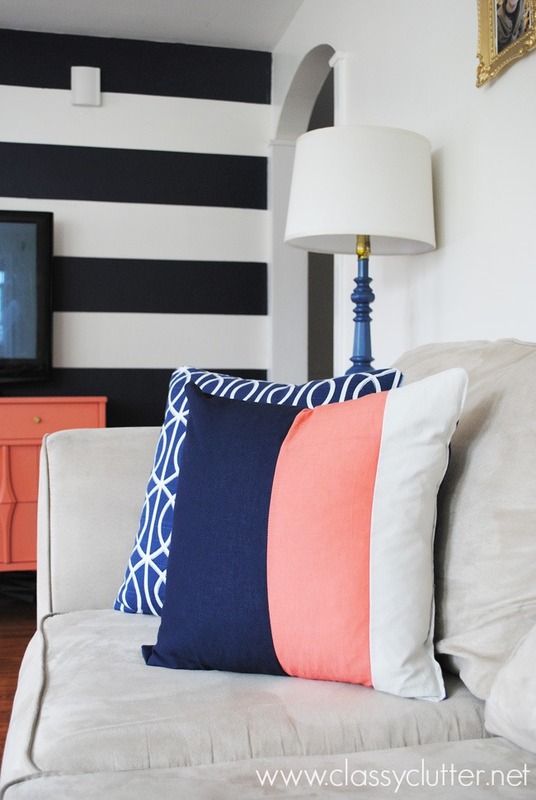 I love how your color block pillows turned out! I’m in need of new pillows. I’m not that good at sewing but it seems simple enough, so I may just have to steel this idea! I love this look! Thanks so much for the great inspiration! So so so cute! I love the navy and coral combo so much right now! This is such a great look. I am going to try this out. 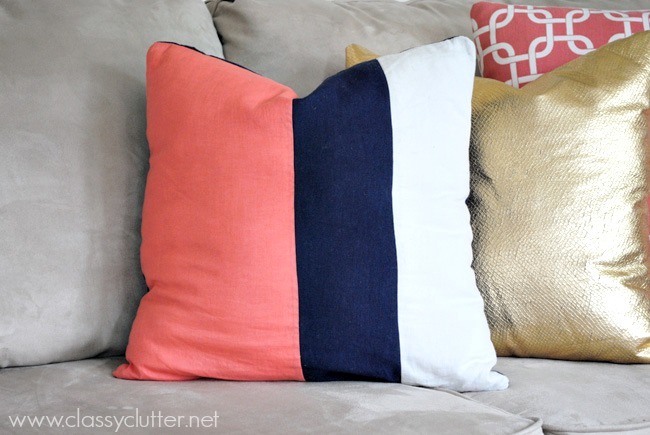 These pillows are so simple and pretty… love the coral and blue together!